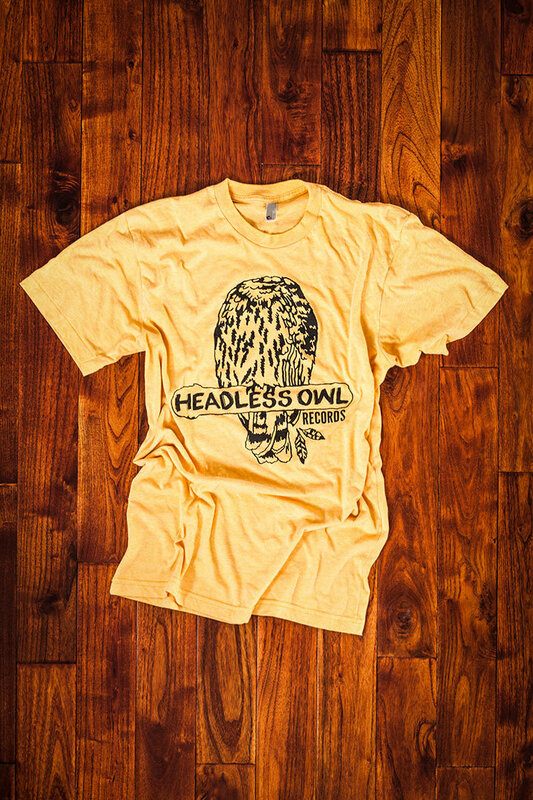 Our official, one of a kind Headless Owl Records Tee! 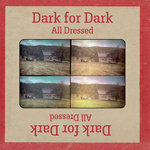 Printed on high quality American Apparel 50/50 shirts. They look and feel just like the gym shirts they used to give to all the kids at my junior high they deemed 'healthy' and 'not weird' enough to be on the volleyball team. Or at least, I'm told this is how that felt. Don't see the size you're looking for? 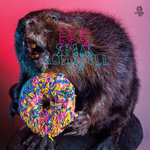 Now's the time to gain all the extra weight and/or height you've been talking about! 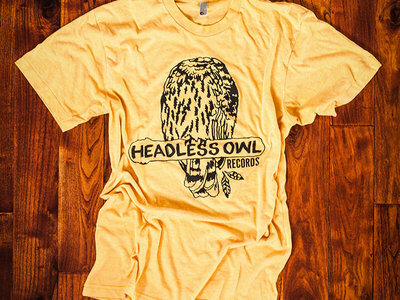 OR you could just email us and ask - info@headlessowl.com. 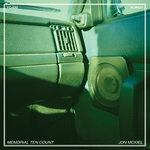 Memorial Ten Count – 180 gram 12" Black Vinyl Record. 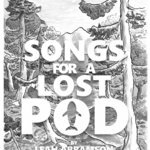 Amongst the Coyotes and Birdsongs – Compact Disc Version!